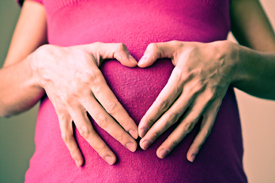 Many pregnant clients often report shorter, more pleasant deliveries when they receive chiropractic care. Even natural births can put excess stress on the mother’s and baby’s spinal cord. Holistic chiropractic can help in mom’s to bounce back from child birthing and help baby to reach their innate potential. Relax. The Intention Wellness Method, created by Dr. Jay, is a spinal cord specific energy healing technique. Using no force (no “cracking” or “popping”), this method is gentle enough to use on all ages – newborns to the very elderly. Of course not. The Intention Wellness Method, created by Dr. Jay, is a spinal cord specific energy healing technique. Using no force (no “cracking” or “popping”), this method is gentle enough to use on all ages – newborns to the very elderly.